The third week of January is a week like no other for the rotaractors of RACALBS. 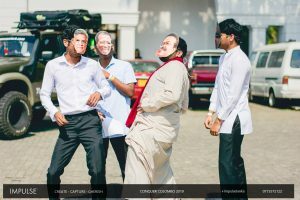 From the meticulous organization and execution by the organizing committee and the careful preplanning by many of our participants, Conquer Colombo is by far one of the most anticipated and hyped events of the Rotaract calendar. 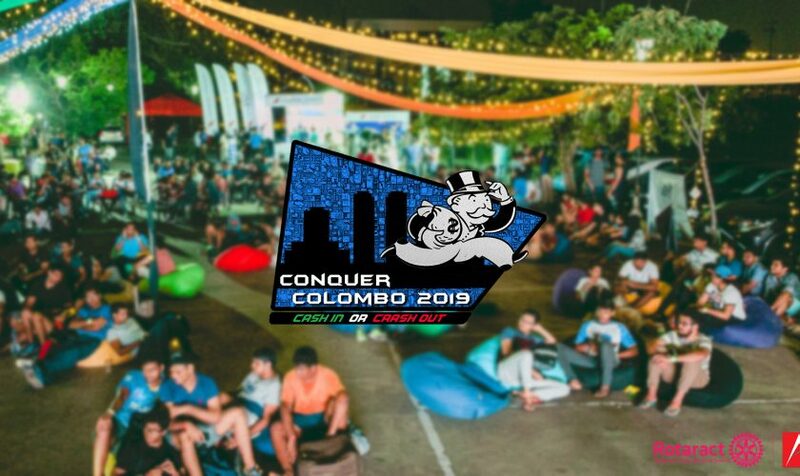 Setting the bar higher than ever before, Conquer Colombo 2019 was back with more new twists and challenges of all forms be it eating challenges, mind challenges and even Augmented Reality. This grand scale project involving almost 500 participants was initiated with the motive of aiding of the club’s major community service project “Project Life”. 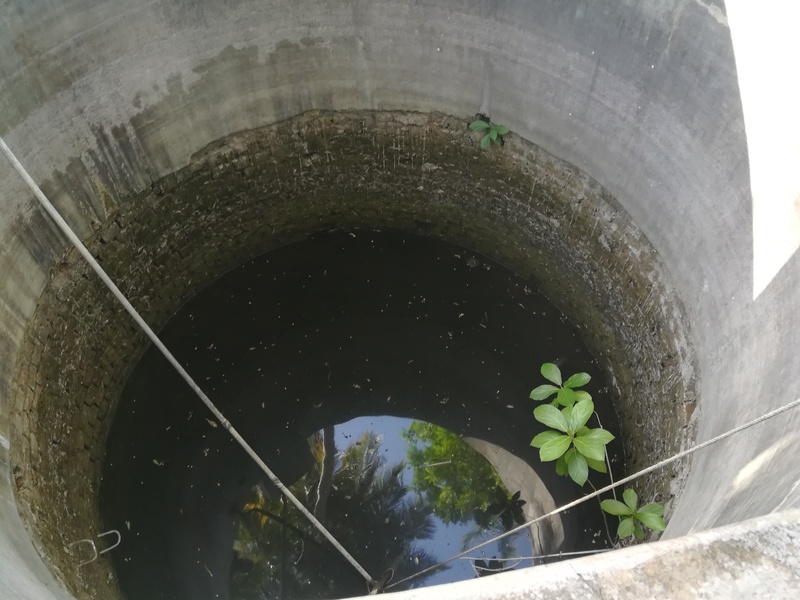 This project targets at combatting Chronic Kidney Disease (CKD) in several affected communities in Kebithigollawa in the North Central Province by aiding for the building of Rainwater harvesting systems. 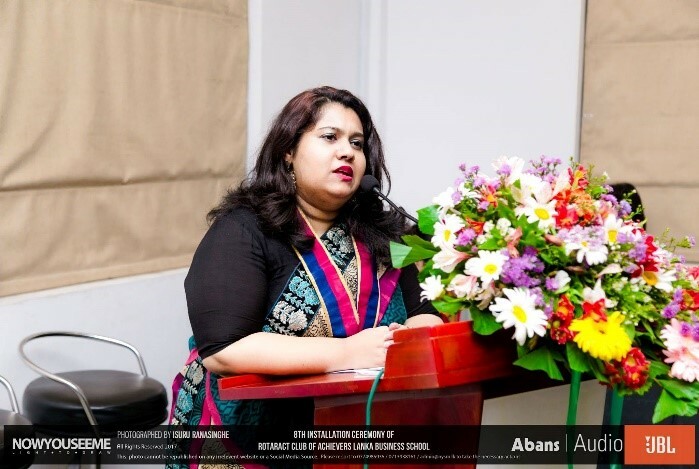 Since its inauguration in 2013, Conquer Colombo has been more than successful in aiding project life along with providing a unique experience to its participants. 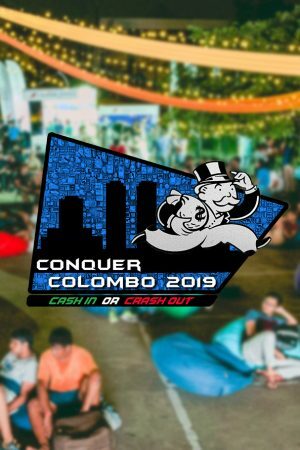 This year’s conquer Colombo bore the theme of “Monopoly” which amalgamated the concepts of the much-beloved board game of Monopoly into this year’s event. Shifting CC paradigms every year, this year’s event included the opportunity for participants to do 3 optional challenges in addition to the traditional 4 core challenges which was a first in CC history. The difficulty of the 3 optional challenges was color-coded as Blue for the hardest challenges, Yellow for medium and brown for the easiest challenges. This was in line with the monopoly element where the price valuations of properties are in the same respective order with blue having most expensive properties such as Mayfair and Piccadilly. Monopoly was further embedded with the inclusion of “Spin the Wheel” at challenge intersections through which participants would be able to draw chance and community chest cards. These cards acted as power ups which either empowered or even worsened the dynamics of each teams’ game. Every choice mattered in this year’s CC where the teams weighed in the opportunity cost of selecting which level of difficulty of an optional challenge to select, whether the option was cost-effective in terms of the monopoly cash they were to spend, the most time effective routes to take etc. 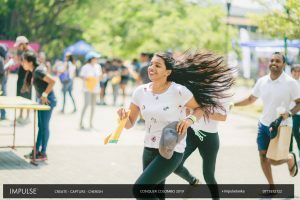 All these factors added in glamour and spice to Conquer Colombo 2019 and truly shifted the metrics of this year’s competition. The event kickstarted with variety of small entertainment items by a few of the participants as the crowd started registering at Race Course in the morning. As a first-time spectator\organizer at this event, it was amazing for me to see the heightened excitement of what’s to come by both veteran CC participants to the first-timers alike. 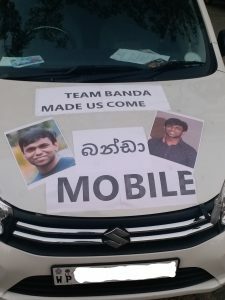 The highlight of the morning which had everyone chortling over was when the team “Banda forced us to come” drove in a car campaigning for our much beloved COMSERV Director Sandaru a.k.a. Banda’s presidential run for 2020. Following a very eventful morning, the much-awaited race kickstarted at 11.30 with the throwing of the dice. This was followed by a literal stampede of participants racing to their respective stalls to obtain their first clue sheet to the challenge locations. With much frantic confusion and excitement, teams were rushing at every direction to reach their rides and to figure out where to head first. As a first-time challenge head at pearl harbor challenge located at subway fort, I was definitely was in for a big surprise when hordes of frantic participants rushed into the venue too eager to get started with the challenge. It was a quite a challenge for us challenge heads and volunteers both the new and experienced to handle and accommodate the flash mob like crowds, but as time went we got the hang of it and ran our challenges pretty smoothly. With the last team signing at our table (whom we, unfortunately, had to turn away as they were in the wrong challenge location), we had felt a great rush of relief and also a bit of sadness as we knew Conquer Colombo was almost over for us. It goes without saying that this year’s CC was truly an experience to remember for both the participants and organizers alike. The closing ceremony capped off one of the greatest events of the Rotaract calendar on a high note. It started off with the commencement of the raffle draw which is one of the more awaited events during Conquer Colombo. Winners walked away with gift baskets and a variety of exciting gift vouchers. Up next came the awards for best themed, funkiest ride, Supermen and wonder women. Last but not the least, the top fifteen teams of Conquer Colombo 2019 were awarded a variety of exciting prizes from gift baskets to vouchers. Team “Bebaddo” came in third and received a variety of amazing prizes along with an opportunity for an overnight stay at Udawatte Kele forest lodge. Team 2 fast 2 furious came onto take the number 2 spot of this year’s Conquer Colombo winning an overnight stay at Jetwing hotel along with other exciting prizes. 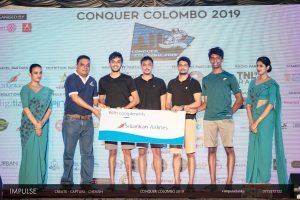 National List topped the point list of this year’s event with a total points of to be crowned champions of Conquer Colombo 2019 securing return air tickets to Jakarta, Indonesia among other exciting prizes. This year’s challenges gave a new experience to our participants which most have never experienced before or wouldn’t experience anywhere else. Regardless of whether our participants managed to break into the top 15 or not, without any doubt, everyone left with a feeling of satisfaction and eagerness to look forward to this event again next year. 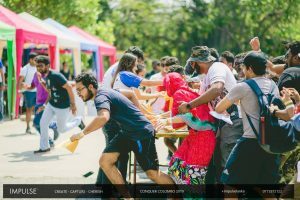 From deciphering road directions using Augmented reality posters, mind boggling mind challenges such as the bomb challenge to blindfolded cupcake challenges, Conquer Colombo 2019 was definitely not a day to miss. Setting the bar higher than ever before, CC 2019 left quite the mark on the Rotaract calendar and leaving us with the anticipation of an even more awe-inspiring event next year. A sort of nervous energy had filled the room. Everyone was completely silent, except for Mr. Jeevan Gnanam, one of the two keynote speakers at the Grand Finale, who would go on to conclude his speech shortly. The 7 participants sat anxiously, although visibly calm and composed, one could only imagine the chaotic state their heads would have been in. They had done the best they could, presented their ideas in the most flamboyant of ways. 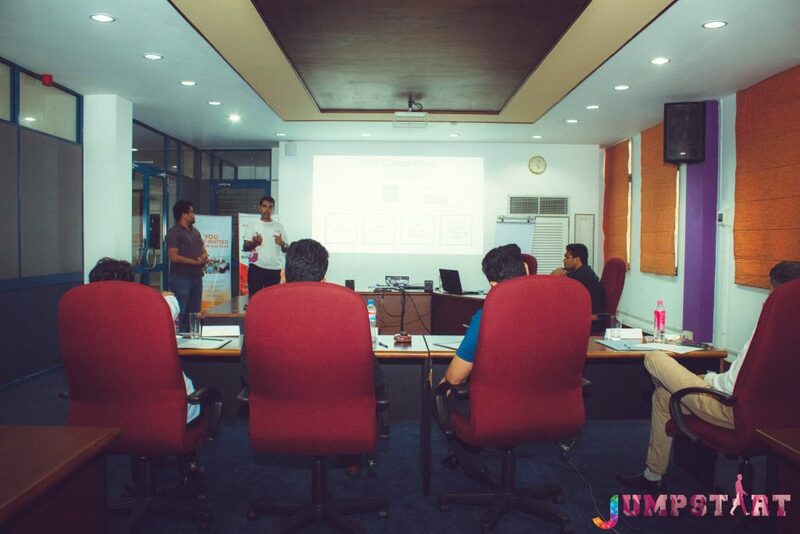 It was now up to the accomplished panel of judges to decide which one of the four teams deserved the coveted title of ‘Winner – Jumpstart 2018’. The four teams in the Grand Finale; Team Dawn, Team CardiZen, Team Loggers and Team ViCode had all made it through a tough first round, which saw a host of other teams eliminated. 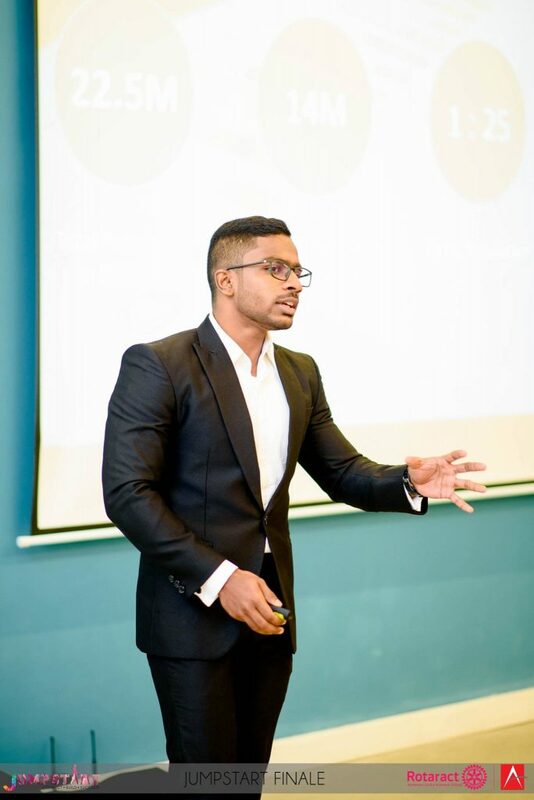 Each team had to pitch their ideas to a group of professionals that represented all spheres of the corporate world, who would decide if they are worthy for the Grand finale. Team Dawn had pitched a fascinating idea for a website and app that would encompass the musical world, from artists to instruments. Team ViCode pitched a smarter, more efficient way to find parking around the city by proposing an app that let you book a parking slot. Team Loggers presented a compelling idea, to create an app that would help you recruit the perfect person for a vacant job position. Team CardiZen showcased an interesting idea for a wearable health monitoring system that could quickly alert loved ones and medical personnel in case of an emergency. Next, the teams that progressed to the Grand finale were treated to a very insightful workshop. It was good! How good? 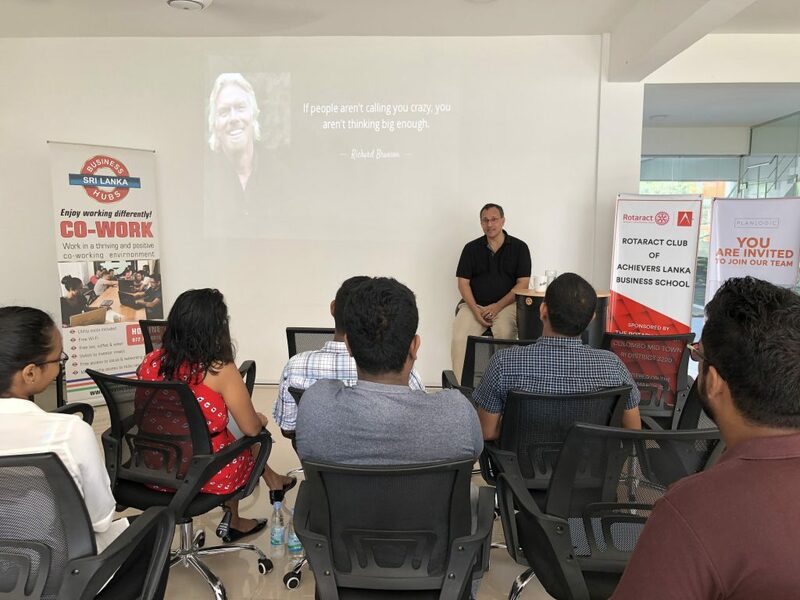 Well it was good enough to make not only the participants, but a majority of the members of Rotaract Achievers who were present at the workshop, to sit down at the back, with their eyes wide open, listening eagerly to the two industry experts, Mr. Michael Moonasinghe and Mr. Ganadaran Jeyakumar, as they showcased and passed down tips, tricks and advice they had gathered over the years of becoming successful entrepreneurs. And coming back to the day of the Grand Finale, the participants were ready to put their best foot forward and were certainly dressed to impress! Proceedings were underway shortly after 3 pm and the presentations of the 4 teams were accompanied by the keynote speeches, Mr. Michael Moonasinghe being the first and Mr. Jeevan Gnanam delivering the second. As the evening progressed, a generous crowd built up inside the rather sophisticated and modern looking Hatch Auditorium. They certainly got their money’s worth as the competition began to heat up after strong performances from Team Loggers and Team Dawn to finish things off. 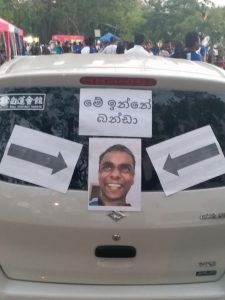 The three judges, Mr. Ganadaran Jeyakumar, Mr. Saman Wimalaratne, and Mr. Gnanam, certainly had a tough job on their hands. After much deliberation, the judges finally handed over the results to the members of the organizing committee who swiftly started to arrange the certificates and awards in accordance with the results while Mr. Gnanam took center stage to deliver his keynote speech. After the speech, the two comperes walked into the middle of the brightly lit room, with the results in their hands, the trophy for the Winner gleaming radiantly just behind them on a table. Everyone in the room leaned in eagerly from the edges of their seats anxiously waiting for the results. All the teams had put up strong performances but there was one performance that stood out amongst the rest. 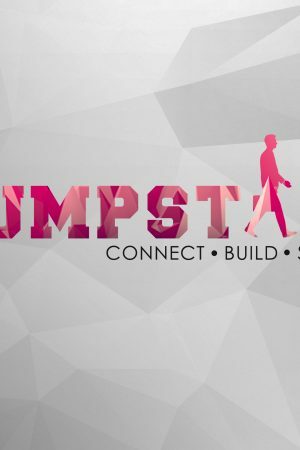 Teams Loggers, ViCode and CardiZen came in second, third and fourth respectively, but first place and the prestigious title of Jumpstart 2018 was awarded to Team Dawn! Shimar Ahamed, the sole member of Team Dawn was elated and collected the magnificent trophy and his other prizes from Mr. Gnanam as the room was filled with applaud and cheer. As the evening came to a close and the participants, audience, and judges slowly started to leave, the members of Rotaract Achievers breathed a sigh of relief. They had successfully pulled off yet another glamorous event. The late nights and frequent meetings had definitely paid off. 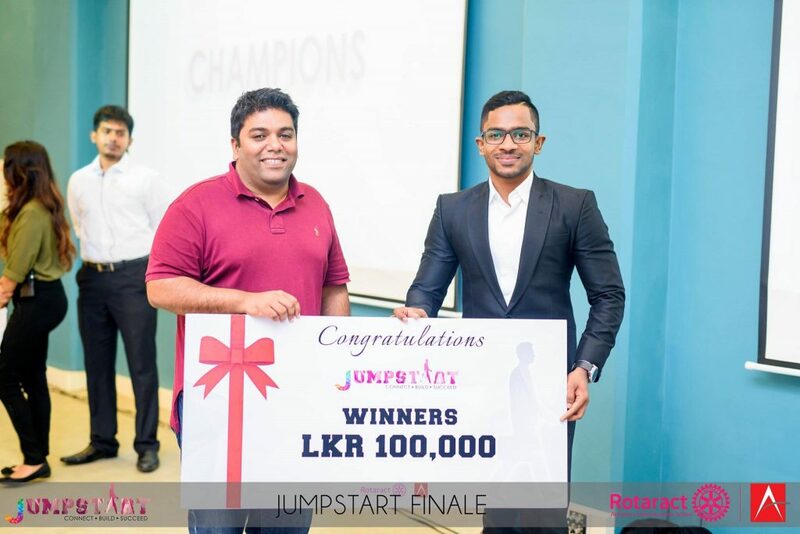 It wasn’t just about pulling off a successful event, they made an impact on something bigger, a project that showcased and encouraged an entrepreneurial culture in Sri Lanka. Rotaract Achievers, as always, made the difference. It was the 23rd of November, a wonderful Friday evening. Me and my friends, Rahul and Asel, arrived at Hamdhan’s place (a.k.a The Rotaract Achievers headquarters) along with the beverages that were assigned for us. 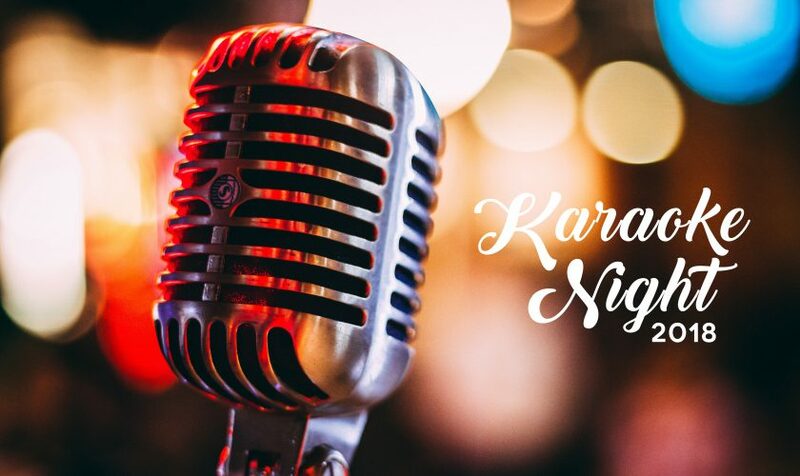 Hamdhan and Pruthuvi were already setting up the place to host the Karaoke Night organized by the Rotaract Club of Achievers Lanka Business School. Soon afterward, Hasitha arrived at the event and we finished up the setting in no time. It didn’t take a long time for other members to arrive as well and I was asked to start off the proceedings. Actually, I started singing a random song which popped into my head and to see I was the person who officially started the night going. So, I gave the start to a wonderful evening by singing ‘Lassanata Pipunu Wana Mal’ by Nihal Nelson. After me, it was Asel’s turn to sing and he sang ‘All about the bass’ by Meghan Trainor. A lot of people willingly took turns to sing, but the Weather had something else in mind. The lightning and heavy rains caused the TV to switch off many times. In spite of the adverse weather, almost everyone volunteered to sing and we were extremely happy to see people enjoying the night. I did mention that almost everyone volunteered. I said it that way because there were a few who did not want to sing. So Sahan and Yasiru forcefully dragged them into the center stage to sing. I should say that both of them sang well in the end. Almost all the songs sung before we had dinner were English classics and it was so nice to meet people who are still enthusiastic about those songs. 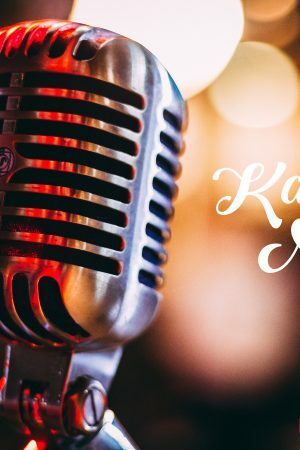 Songs like ‘Wonderful Tonight’ by Eric Clapton, ‘Let it be’ and ‘Hey Jude’ by the Beatles, ‘Can you feel the love tonight’ by Elton John were most loved by the audience. The memory that I will never forget was how Sandaru and I sang ‘I don’t wanna miss a thing’ by Aerosmith which is almost impossible to be sung by a sane person. We managed to imitate the lead singer of Aerosmith at all times and right after the song I started feeling my throat as well. I’m sure Sandaru did as well. After dinner, we switched to Sinhala songs. I remember singing ‘Nadee Ganga’ by Chitral Somapala twice. Both times we sang it together, everyone sang it with all their might. We also sang songs of artists like Kasun Kalhara and Clarence Wijewardene. For a moment it felt like the mood was drooling out. But then entered Anushan, who started off with a Tamil song which I can’t really remember the name of. But then he started singing the famous song ‘Why this Kolaveri’ which brought back the crowd right up. I still remember Aruna videoing the whole song while others sang the song whilst Anushan was the lead singer. After some time I realized the members from other clubs were leaving. That moment I realized that time has flown and already past 11.00 pm. But the singing didn’t stop just there. The members of our Rotaract club were still there. So, we continued to sing more songs. I started compering as one of those show hosts in big outdoor concerts and everyone thought that I did a good job in that. I’m still trying to remember whose idea was to sing the new viral theme song of Vogue Jewelers. Anyway, Hasitha played that song and surprisingly I remembered all the words of that song and I sang. Everyone was laughing so hard including me and until the next day I didn’t know that Sandaru has recorded it as well. Soon after Laila sang followed by Sathma. Sathma sang ‘Galway Girl’ by Ed Sheeran and to be honest she was fantastic. The funny part was that she started singing by saying that she is a horrible singer. Then came ‘Summer of 69’ by Bryan Adams. That’s where Hamdhan usually loses control of himself and starts singing and dancing. I’m still very eager to know why Hamdhan gets so hyperactive when he listens to that song. It was a night that I didn’t want to end. But there is a popular saying which says ‘Even the best things have to end.’ So did the Karaoke Night. It indeed was a night filled with great happiness and laughter and truly a night to remember. As the sun lazily faded by the Marine Drive, and the street lights down the Buller’s Road lighting up the evening. 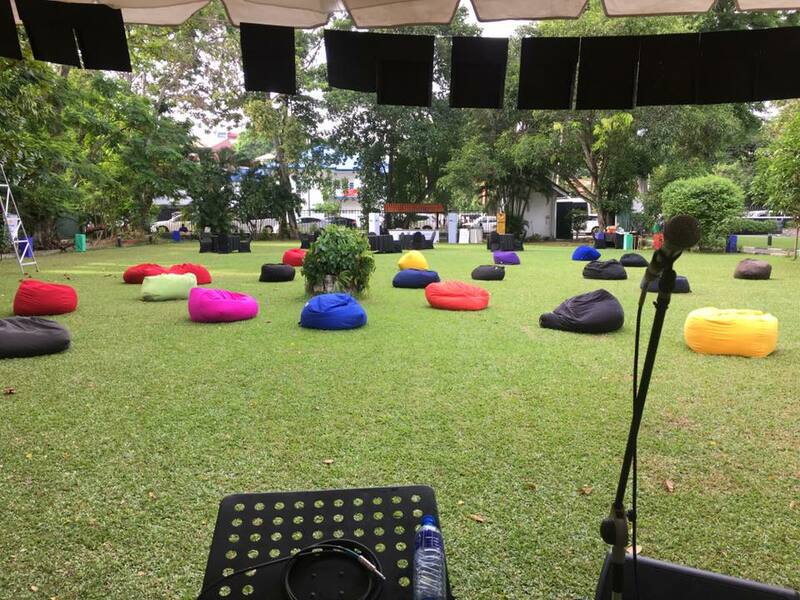 A small crowd was gathering up at the reception of the Achievers Lanka Business School. This crowd represented the members showing up for the weekly General meeting of the Rotaract club of Achievers Lanka Business School. However, unlike other meetings, there was something contrasting about this week. Most members have brought a laptop with them (while we do have some who tend to forget as well). 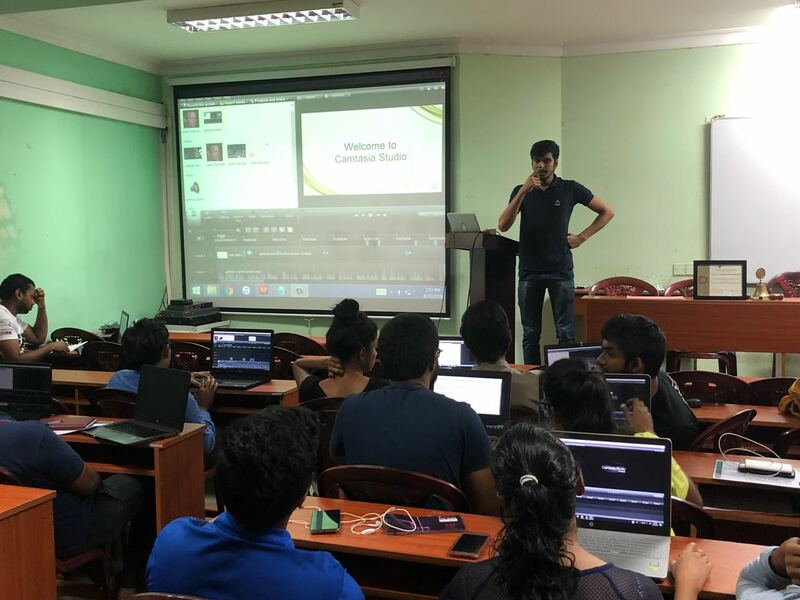 This was because of our first Professional Development project, ‘After Effects 101!’ that was scheduled to take place later that day. Rtr. 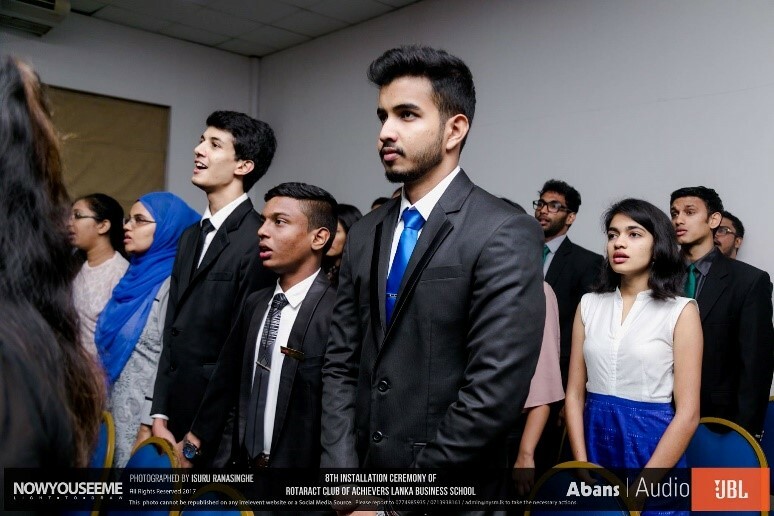 Sahan Munasinghe and I, the two Professional Development Directors for the year 2018-2019 had been continuously nagging, our fellow board directors and club members to take part in this project. Initially slightly reluctant, but when the day came, they all walked through the doorway, slightly weary after a long day but ready to learn what some consider as modern art, video editing. Whilst paying close attention to the evening’s proceedings, Rtr. Sahan and I, joined by our guru for the evening Rtr. Anushan, hastily ensured that everyone’s laptops had the required software installed and files copied for the upcoming workshop. Rtr. Anushan Sathananthasarma, one of the humblest characters you will ever meet, is well known for being a great basketball player and being there to help out the club whenever he is required, but this particular evening it was his wizardry in video editing that was to come into play. 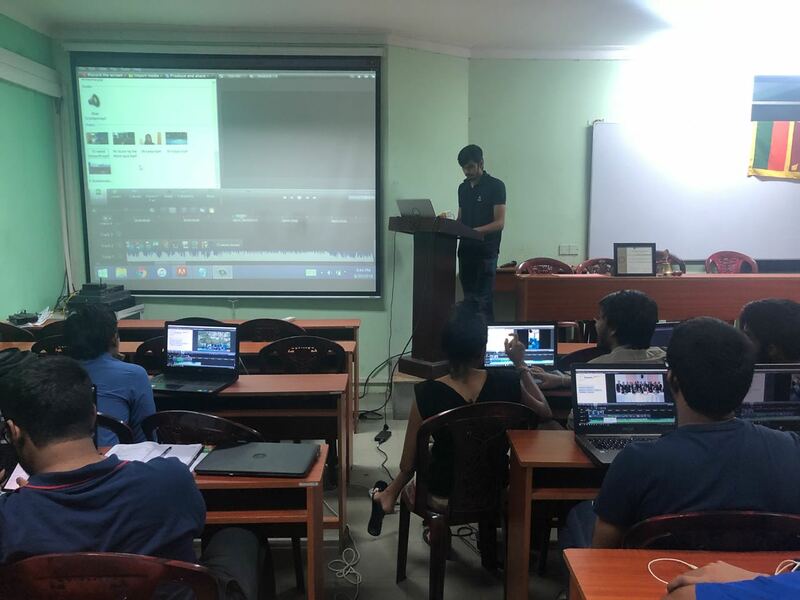 Being one of the main ‘IT gurus’ of the club for many years and having conducted many past workshops on skills such as Photoshop, Anushan eagerly agreed to mentor our members on video editing. After the general meeting had concluded, with the projector set and the microphone switched on, ‘Anu’ took his place behind the podium and got straight into work. The main objective of this workshop was to create a video for the membership drive of the club. 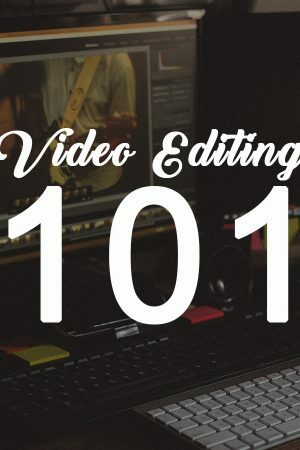 This involved in stitching together many small clips, editing these clips to ensure that they looked professional, adding photographs, music and being able to vary things like the intensity of the music and playback speed at just the required frames. Our members eagerly listened in, eyes fixed on the projection on the wall while Anu took them through each and every step, making sure no one was left behind whilst answering the queries he received along the way. The workshop was carried on smoothly for almost 90 minutes. By the end, every single laptop at the hall had a video playing, made up of small clips, photos, and music. 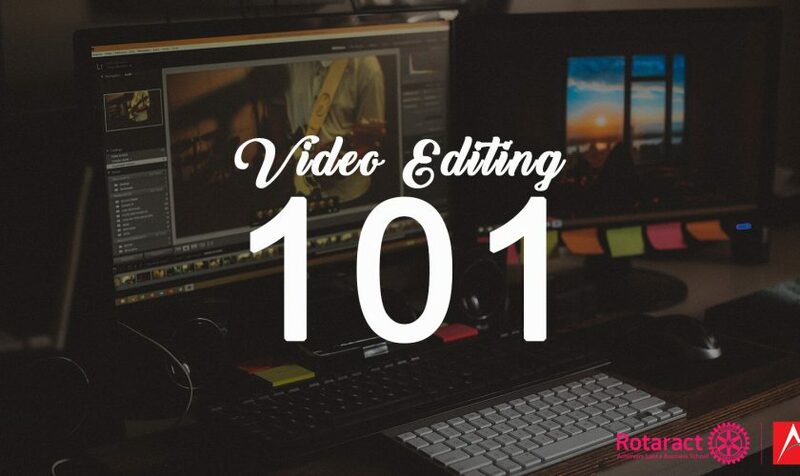 Members who previously believed that video editing was a sort of alchemy that only the tech-savvy could pursue had now created an enticing video which looked classy and professional. The workshop was a SUCCESS indeed. It ended with all the present members looking much happier than when they came in for the meeting. All the participants and both Rtr. Sahan and I didn’t forget to thank Rtr. Anushan for his excellent mentoring skills and how easy he made video editing seems to be. The day ended with positive feedback on how impressed the members were with the workshop and a few of them even gleefully shouting out about how they would put this newly learned skill to use that night itself to make more videos by themselves. “Standing on the shoulders of giants”, after a successful Rotaract year (2017/2018) for RACALBS International Services avenue, the current Rotaract year started off with hopes of similar success in the IS avenue. With a mammoth uphill task ahead of us, the first International Services project for the Rotaract year 2018/2019 kicked off on August 23rd,2018. Behind every project idea for international services, the fundamental goal was to educate our members on the many different cultures we live amongst and establish events that promote international relations. 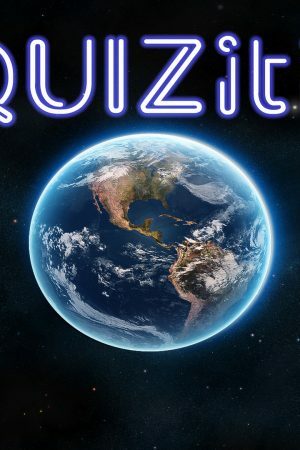 Project “InQUIZitive” is the first in a series of projects aimed at fulfilling those goals, by educating club members on the vast number of cultures and vital events that take place around the world. To create a sense of general awareness of world happenings. 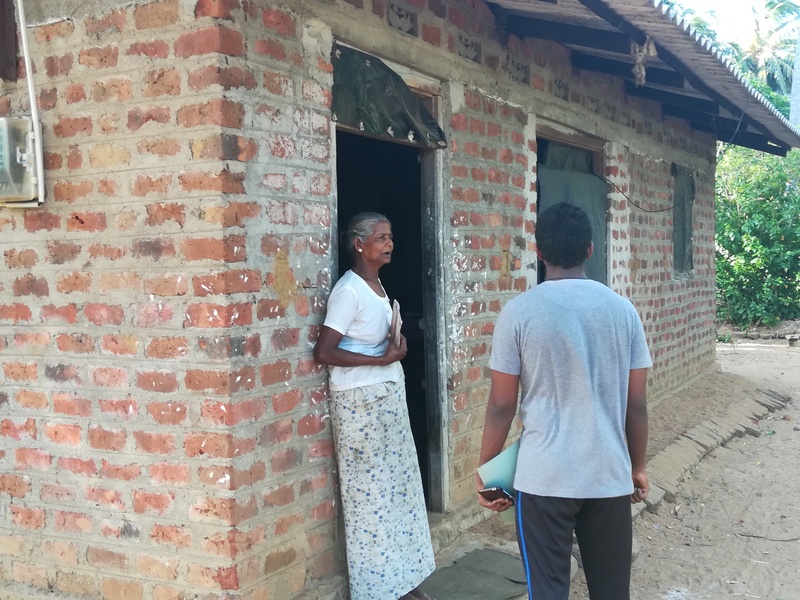 The project idea was eventually warped into a competitive general knowledge quiz, so that the learning session had a direct engagement from members, and created general interest for active participation. 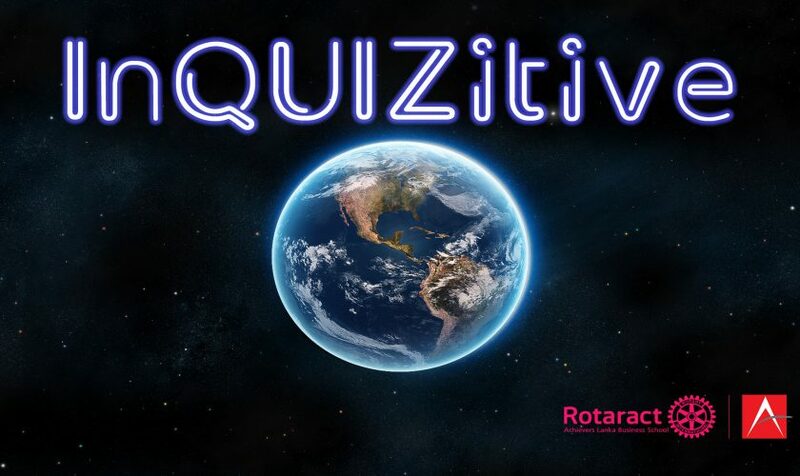 Project “InQUIZitive” was hosted during the club’s weekly meeting, coincidentally this also happened to be a joint meeting with the Rotaract Club of Informatics Institute of Technology (RAC IIT). With President Hamdhan requesting the presence of IIT club members for “InQUIZitive”, the quiz had a high attendance. 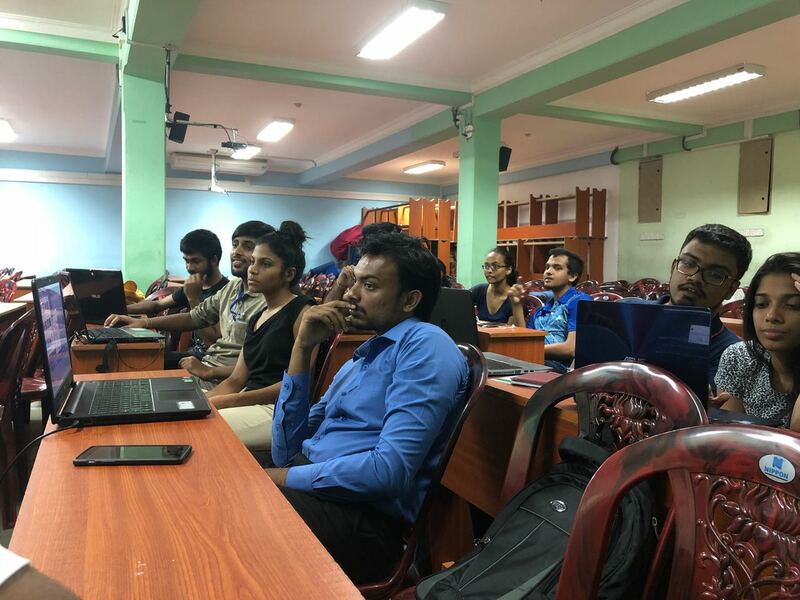 This was organized and hosted by our very own International Services Directors Mariam Husni and Navin Suresh, while the club’s treasurer Nuwanthi Mannapperuma was the designated Gamemaster and Scorekeeper. The most challenging part of the project was finding the right balance in questions, covering a variety of informative topics. To give meaning to the “Competitive” part of the general knowledge quiz, all the members present in the room were split into two teams (Team A and Team B ), without bias for the club they hail from. Coincidently with the two presidents of RAC IIT and RAC Achievers being on two different teams, they both took charge of the mantle of their respective teams. President Vimukthi with Team A and President Hamdhan with Team B. The quiz rules were simple. There were overall four categories with 6 questions each. Teams have to answer 10 questions each, with having to answer a minimum of 2 questions per category. The categories being Current Affairs, World History, Entertainment, and Business. Each team receives 10 points for answering their question correctly, and 5 points for answering the opposing team’s question, in the event they are unable to. The team to score the most number of points wins. With the rules defined, and the questions set, the knowledge conquest began. Team A took an early lead in the competition by successfully answering the first few questions, with their points originating mostly from Current Affairs and Entertainment. Team B had a rather difficult start, having encountered some difficult questions in World History, but managed to be right on their opponent’s tail. As we went further into the night, Team A successfully maintained their lead, beating their opponents by a respectable margin. Like the chess proverb, “At the end of the game the king and pawn go into the same box”, all those present were full of cheers and applause for the winning team. The project turned out exactly as expected, with all those present in the room, leaving it a little more informed about the world, than when they entered it. It’s the last few weeks of June, and the FIFA world cup that brought new football vibes all over the world is almost over with only a few more weeks for the finals. Wherever you go, you’ll be guaranteed to feel the football vibes that was mesmerizing our nation. 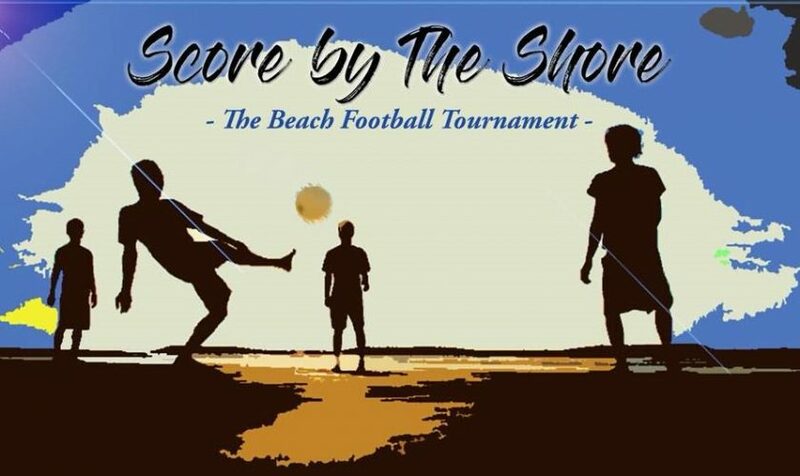 So, we thought, what better way to enhance this excitement of the people than to host a football tournament with a new twist, a Beach football tournament. 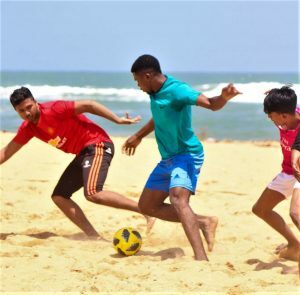 Score by The Shore 2018 was the trendiest beach football tournament to hit the beaches of Colombo, organized by my club, the Rotaract Club of Achievers Lanka Business School partnering together with the Interact Club of Zahira College, Colombo. 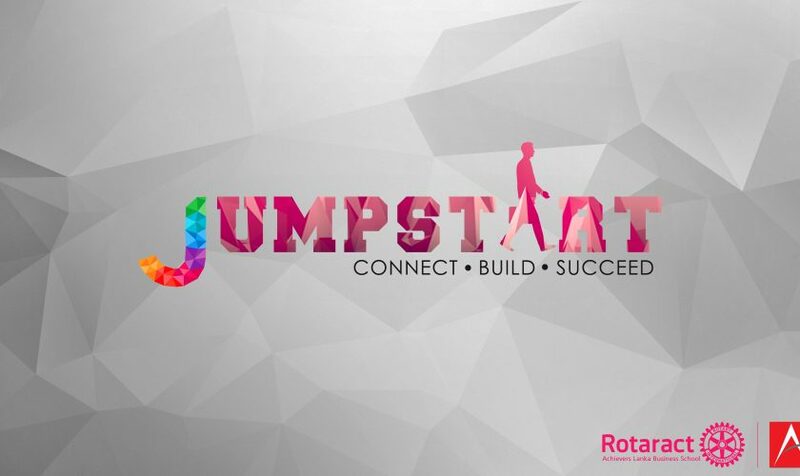 Technically, this is the annual “New Member Project” of the Rotaract Club of Achievers, which is assigned to all the new members of the year in order to get to know each other and get hands-on experience in projects to identify their skills that each of them possesses. 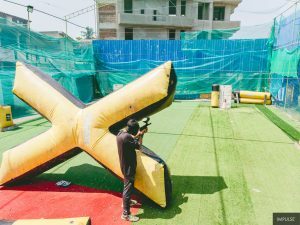 For the past couple of years, the New Member Project had been unique and exciting, such as Bubble Football and Archery Tag tournaments in 2016 and 2017 respectively. 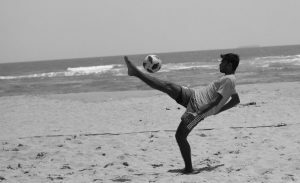 Given that these two projects are unique in its own nature, upon discussion, we decided to go with Beach Football which adds a unique twist of its own to the traditional game and considering that it was the FIFA world cup season. 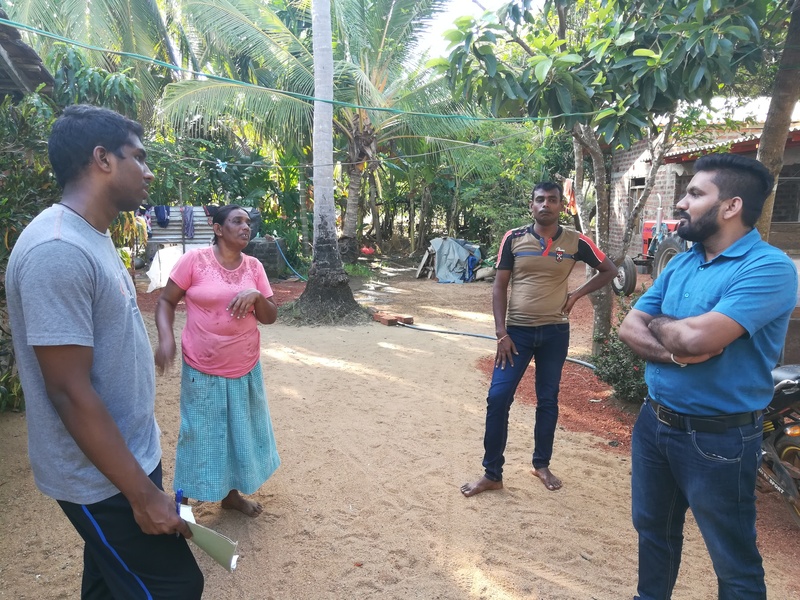 The event was held on the 23rd of June 2018, at the Dehiwala beachfront, adjacent to the restaurant, The Station. A total of 18 teams showed up on the day of the event. 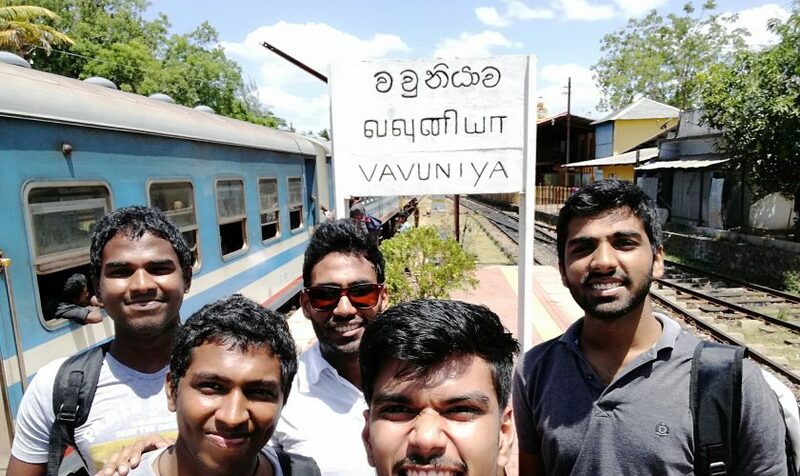 Although we were expecting teams only from Colombo, there were a few teams from Kandy, Wattala, and Negombo, which showed the reach of the event through PR. All the teams that showed up had some raw talent in football which they showcased throughout the tournament gathered a crowd to watch the matches. Teams from other Rotaract clubs and Interact clubs were also present at the event. Organizing the event was not an easy task as it was challenging in terms of logistics, getting permission to host the event on the beach from the Municipal Council and the Department of Coast Conservation, getting permission to host sounds at the venue from the Police Station, getting a generator across the railway tracks and even the goal posts itself which was a nightmare that was sorted at the last moment by our Ex-Treasurer and the present President, Rtr. Hamdhan Sulaiman. The constant support of Interactor Shoaib Fawmy and his team from the Interact Club of Zahira College, eased most of the organizing tasks of the event, constantly lending a helping hand, especially in the last few days prior to the event and more importantly on the day of the event. The matches commenced at 9 am, and it kicked off really well with some exhilarating action as both teams scored goals which ended up with a win for a team over the other by just one goal. The rest of the games too were as exciting as the first and only kept getting better. Some ended up in a draw and were decided by penalties. All the matches were officiated by four officials from Zahira College, where a couple of them took turns, every other match. 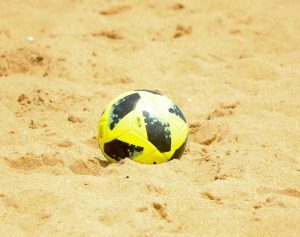 The gameplay was a condensed version of the FIFA regulated beach football due to the limitations of space available at the beach and time. As the restaurant had kindly requested us to finish the event before dark as it had to open the beach area for its customers,the finals ended by 5.15pm, with Team Sal Sal emerging as the champions after an intense match, winning the prize money of Rs 20,000/= in cash, gift vouchers from X-Sports arena along with the certificates. The runners-up, a team from the Rotaract club of IIT, Team Goal Riders were awarded gift vouchers from X-Sports arena along with the certificates. “Golden Glove” and “Golden Boot”, best Goalie and Striker, were chosen according to the talent displayed at the tournament and were awarded prizes sponsored by DSI. 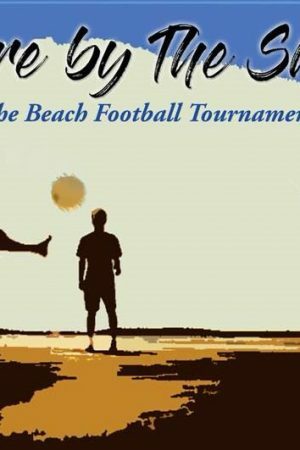 At the end of the day, the feedback received showed that even though the minor hiccups, the club as a team, together with the Interact club of Zahira College, were able to pull off this trendy beach football tournament. It was that time of the year again. A much-awaited instance of liberation for an exhausted board, and a greatly anticipated moment of glory and pride for an unsuspecting set of “newbies”, oblivious to the many trials yet to come. As much as it was a relief for those that were stepping down from their positions of utmost responsibility, there was still a lingering sense of dissonance in the air. Because while Rotaract has its obvious instances of distress, it’s the numerous moments of bliss scattered throughout one’s Rotaract experience that is remembered. 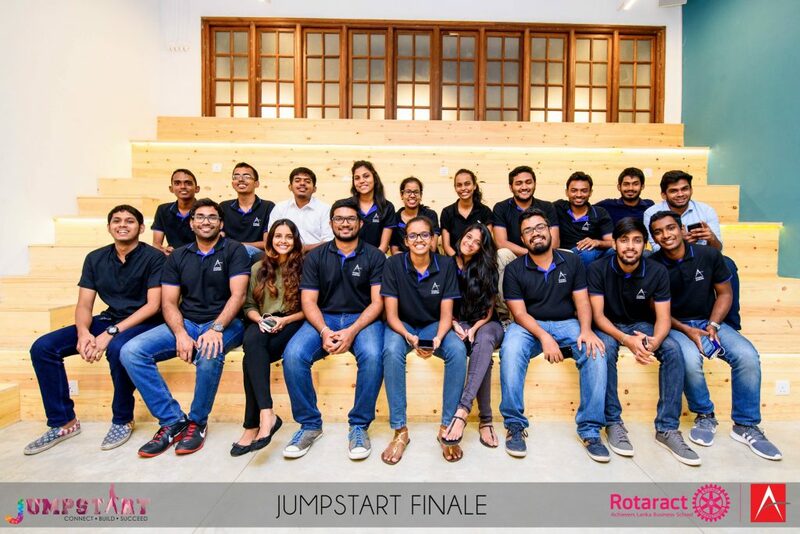 Thus, as can be imagined, the Rotaract Installation was more sentimental of a matter to those involved than you would expect for an event you’d usually sweep aside as a mere formality. Awarding the token of Appreciation to the Immediate Past President Rtr. Laila Zafir by her Board of Directors. 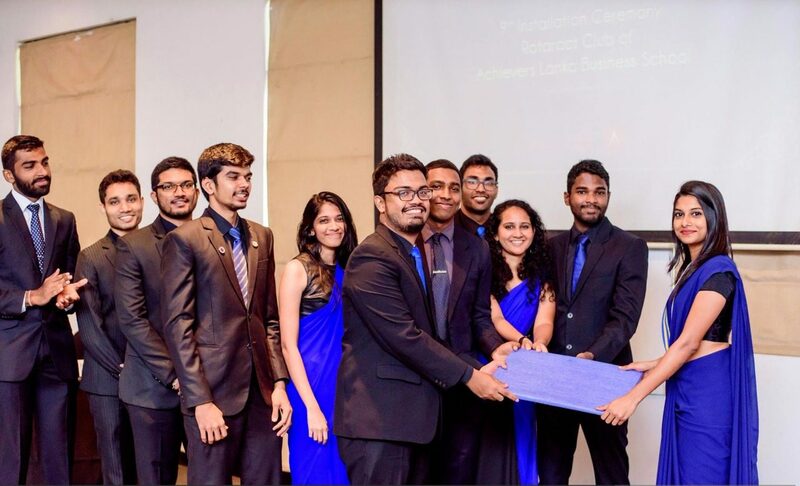 The Rotaract Club of Achievers Lanka Business School has a long history of individuals rising to the occasion to save the day, or in more Rotaract terms: to save a project. If there was one guy who’d keep rising to the occasion over and over again until it was common place to see him become the hero, it would be Rtr. Hamdhan, whom the general public may know by any of the numerous colorful nicknames he has accumulated over the years. While the rest of us were merely enthusiastic, Rtr. Hamdhan was passionate. 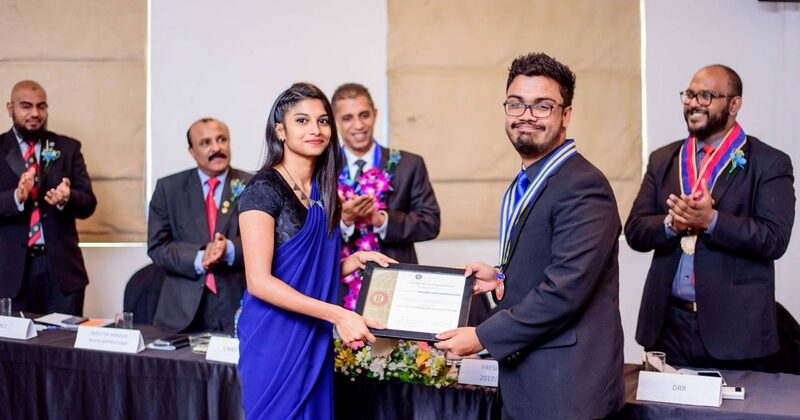 A trait which he held true to up until the moment he was adorned with the President’s collar and walked up to the podium to address the gathered as the newly appointed President of the Rotaract Club of Achievers Lanka Business School. The level of emotion he displayed at the podium was a testament to all that makes Rotaract worthwhile: lifelong friendships, love, dedication and a zealous hunger to serve. Rtr. President Hamdhan’s heartfelt speech wasn’t the only surge of emotion present that day. Rtr. Naadir’s brilliant introduction of Rtr. Hamdhan despite being literally a continent and several seas away drew waves of laughter and applause from the audience. Hopefully, the revelations made in the said introduction wouldn’t hinder Rtr. Hamdhan’s numerous international exploits- or may I say “attempted exploits”. The customary introduction of the board members also struck a few chords in the emotional spectrum, albeit mostly from the more humorous portion of it. Rtr. Laila’s final speech and her subsequent release of Rtr. Rangesh from her friendzone came in close second to being the highlight of the day. However, the winner and the proverbial cherry on top of the cake was Rtr. Devindini’s surprise pre birthday celebration where the entire hall erupted into singing happy birthday while she awkwardly stood in front of everyone, failing repeatedly to blow out the candles (after the third attempt she gave up and resorted to ignore the flames while she dove in). All in all, at the very least Rotaract Achievers knows how to throw an installation. 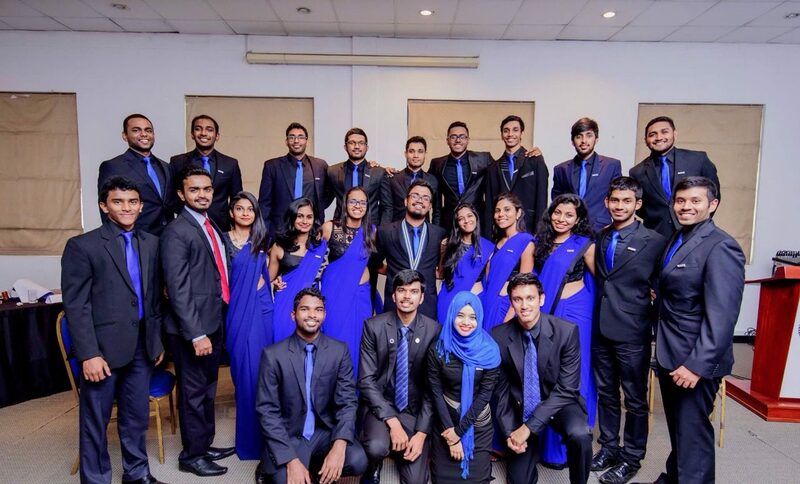 It was that time of the year where the Rotaract Club of Achievers Lanka Business School welcomed yet another year full of diverse projects while celebrating the success of the previous year headed by Rtr. Maneesha Abeyarathne. What better way to commemorate the beginning of another enthralling and adventurous expedition, than with the official installation of the newly appointed board. This was without a doubt an exciting day for all the club members as it marked the beginning of a long journey which would instill many memories which each and every member would carry forward with them. Whilst this event was an opportunity to introduce the newly appointed board, it was also a platform which was created to look back on the hurdles crossed by the Club to reach its’ current position. 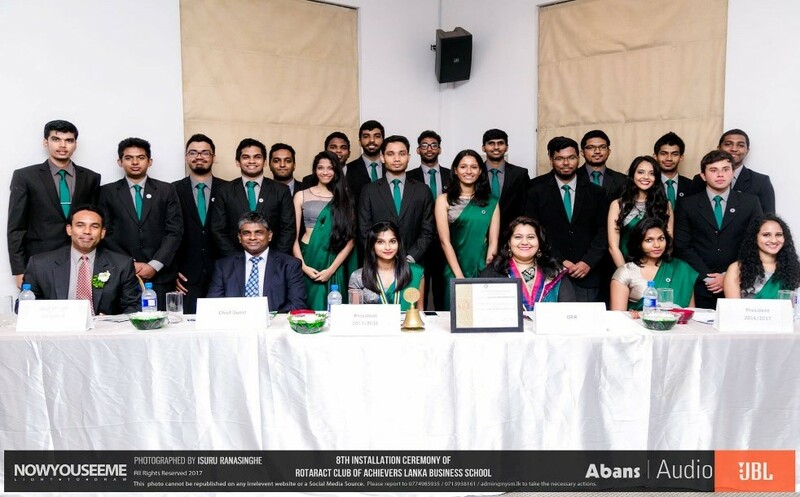 The 8th Installation Ceremony of the Rotaract Club of Achievers Lanka Business School took place on the 7th of August 2017 at the Royal College Union Skills with the presence of many dignitaries, special guests and fellow Rotaractors of various other Rotaract Clubs of the District. Being our first Project, the event ran quite smoothly and was successfully concluded by evening. However, the process of organizing such an event took place almost two months prior. The Project Co-Chairs included the two newly appointed Club Service Directors, Rtr. Tharindi Thalahity and Rtr. Mohandas Jeyakumar who worked tirelessly in order to ensure that the event was carried out smoothly by looking into all necessary avenues and allocating different Club members to various committees. The new Theme for the years 2017-2018 was discussed amongst the board and it was with great confidence that we decided to go with ‘Aspire to Inspire’. To us, this message goes beyond the basic norms of achieving a specific mission whilst inspiring others to improve their level of dedication and commitment towards a great cause. Instead, we draw focus on the spirit of encouragement and how aspiring to achieve a greater good could instill motivation and passion whilst positively influencing others as well. The Installation Ceremony like any other was anticipated by everyone who was actively involved in making the event a success. The sheer excitement and support from past board members, to newly appointed board members and even the new members who just entered the club less than a few weeks ago was great encouragement to the two co-chairs who worked hard to live-up to the expected standards of a successful Installation Ceremony. The comperes for the evening, Rtr. Siva and Rtr. Ahmed were two new members of the club who joined us just a week before, but took up the challenge of addressing the crowd wholeheartedly. Initiating the event by the lighting of the oil lamp was thereafter followed by the Welcome Address presented by the co-chairs. In addition to this, we also had the Secretary of 2016-2017 read out the Secretary’s Report for the previous year which provided everyone with the opportunity of relieving and recalling pleasant memories either through organizing or attending an event held by Rotaract Achievers, as well as the Outgoing Presidents’ Address by IPP Rtr. Maneesha Abeyarathne where she shared her thoughts and expressed gratitude to some members’ of the Club. Recalling fond memories of the past year! The Introduction to the President for the year 2017-2018 was carried out by the Incoming Presidents’ “Best Friend” Rtr. Rangesh, who definitely had many nice things to say about Rtr. Laila Zafir. Moving forward, the Board was introduced with each member having a small video clip with their introduction, and once the induction of the Incoming Board was completed the crowd was addressed by the Chief Guest and Guest of Honor for the evening. With one of the best moments of the night (after the delicious food) being the spectacular performance by Rtr. 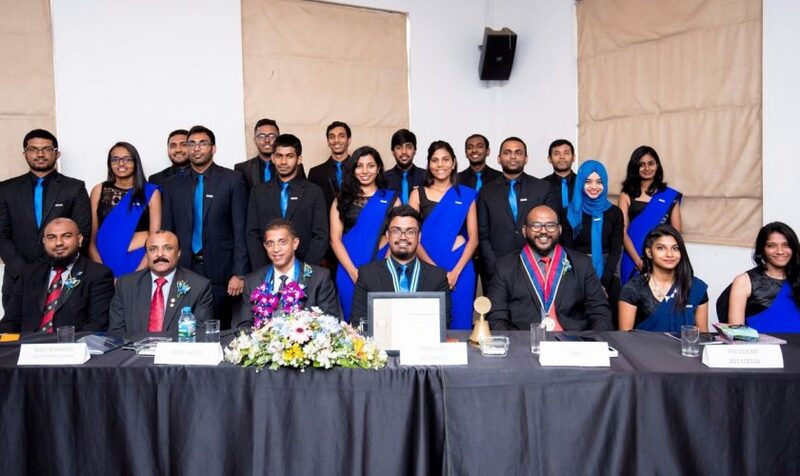 Nelaka Fernando and Minesh Dissanayake, we successfully wrapped up and concluded the 8th Installation Ceremony with motivation and the commitment to aspire in order to inspire. The words of encouragement provided to us by our DRR. Rtr. 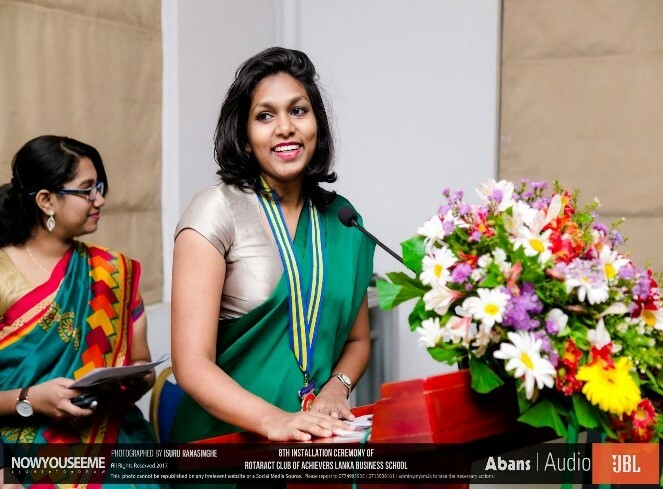 PP Anuradha Senanayake, Chief Guest Rtn. Selvaraja Maherakanth, Guest of Honor Rtn. 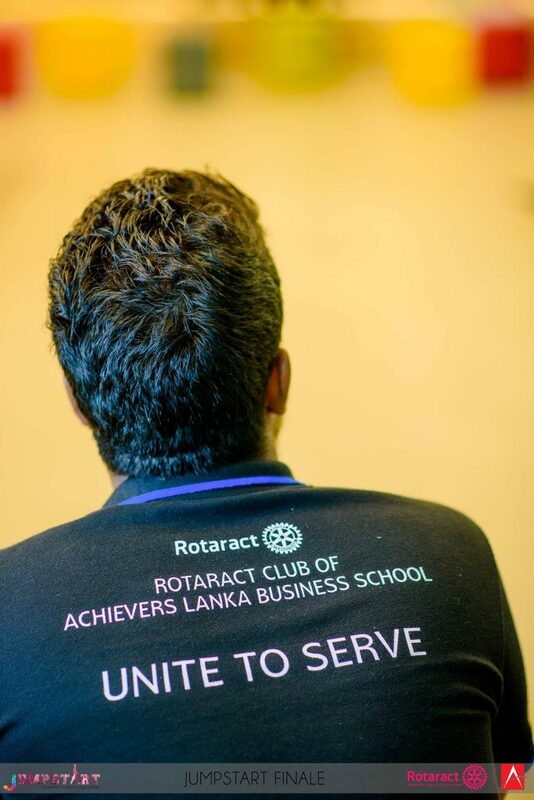 Satyajit Seneviratne along with other Dignitaries, Rotaractors and Interactors will stand as a driving force towards a better performance in the coming year. Here’s to a wonderful year full of memories which would inspire us to be the driving force of change we wish to see in the world! 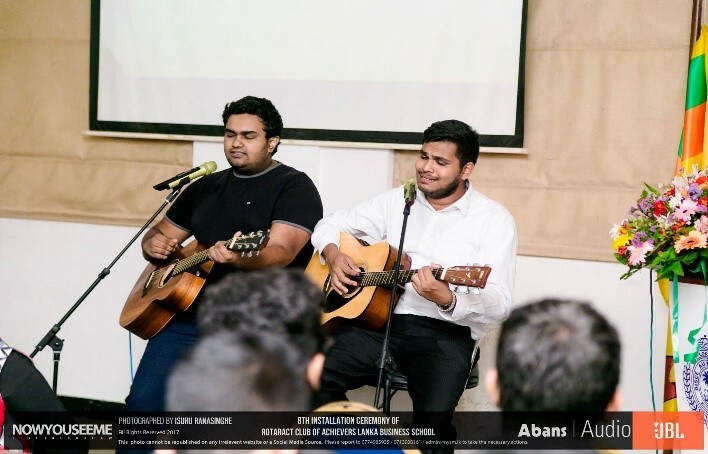 An elegant yet peaceful evening dawned upon us on the 15th of July at the Lakshman Kadirgamar Institute Lawn in Horton Place, where Acoustic Collective alongside the Rotaract Club of Achievers Lanka Business School set the city alight with the first “Artists Evening” – a project in aid of suicide awareness. 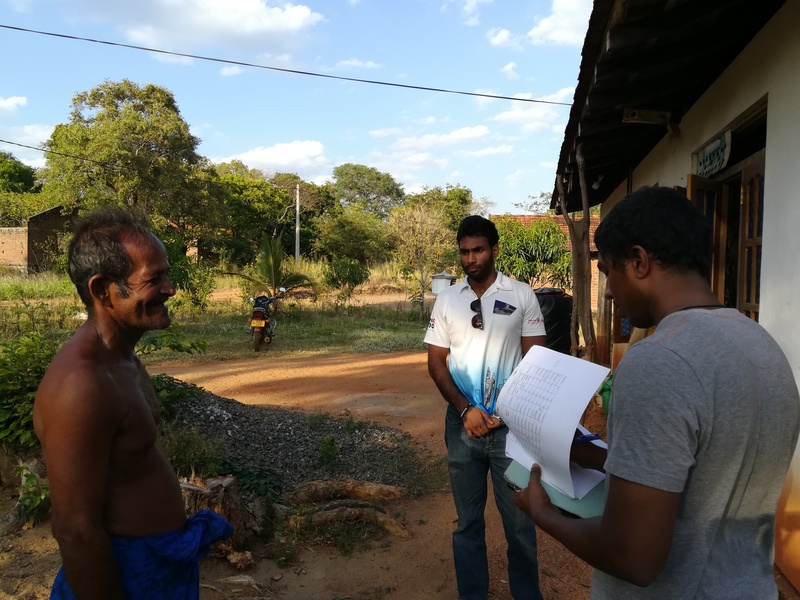 Due to the nature of the cause, the event was partnered by the CCC Foundation – a not for profit charitable organization providing services in the areas of cancer care and mental well being in Sri Lanka. The starry night sky provided the perfect roof to the mellow ambiance of the lawn, colored with many bean bags and beautiful lanterns as many people turned up at 7.00 pm expecting an evening of acoustic music to take them away from their hectic schedules, and that is exactly what they got! mesmerized the audience with their beautiful covers and captivating originals. It was an especially proud moment when one of Rotaract Achievers’ very own, Rtr. Nelaka Fernando performed two of his originals titled “Years” and “Chapter One” to the acclaim and delight of the audience! Worry not if you were not able to attend, here are the moments and music of the day courtesy of Decibel.lk, for you to relive and enjoy. Overall it was an exquisite and entertaining night, and a brilliant way to kick start the Rotaract year. 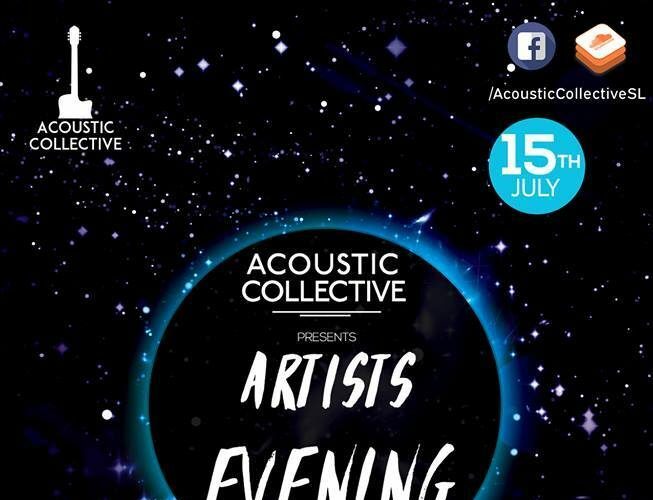 A big thank you to Acoustic Collective for enabling us to partner with them, to the participants for sharing their amazing talent with us, and to everyone who attended for without you, the event would not have been a success. Till next time!